Although there are many good reasons for you to buy a home, Savage & Company thinks wealth building ranks among the top of the list. We call home ownership the best “accidental investment” most people ever make. But, we believe when it is done right, home ownership in Charlottesville becomes an “intentional investment” that lays the foundation for a life of financial security and personal choice. There are solid financial reasons to support your decision to buy a home, and, among these, equity buildup, value appreciation, and tax benefits stand out. The typical real estate transaction involves at least two dozen separate individuals-insurance assessors, mortgage brokers and underwriters, inspectors, appraisers, escrow officers, buyer’s agents, seller’s agents, bankers, title researchers, and a number of other individuals whose actions and decisions have to be orchestrated in order to perform in harmony and get a home sale closed. It is the responsibility of Savage & Company to expertly coordinate all the professionals involved in your home purchase and to act as the advocate for you and your interests throughout. We have a professional closing coordinator at Savage & Company who insures all the details are checked and rechecked. While you may find the thought of home ownership thrilling, the thought of taking on a mortgage may be downright chilling. Many first-time buyers in the Charlottesville market start out confused about the process or nervous about making such a large financial commitment. Savage & Company Realtors have relationships with many well qualified Charlottesville lenders that we would be happy to refer you to. Price-the right price to offer must fairly reflect the true market value of the home you want to buy. The Savage Team’s market research will guide this decision. 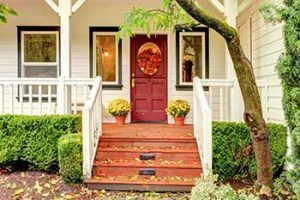 The property inspection should expose the secret issues a home might hide so you know exactly what you’re getting into before you sign your closing papers. 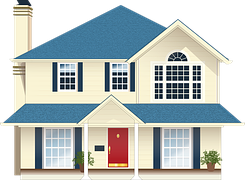 Savage & Company Realtors have several qualified home inspectors that we can refer you to. Communicate with The Savage Team at least once a week. Several days before closing, confirm with The Savage Team that all your documentation is in place and in order. Throughout the course of your home-buying experience, you’ve probably spent a lot of time with The Savage Team and you’ve gotten to know each other fairly well. There’s no reason to throw all that trust and rapport out the window just because the deal has closed. In fact, your agent wants you to keep in touch. Home maintenance falls into two categories keeping it clean: Perform routine maintenance on your home’s systems, depending on their age and style. Keeping an eye on it: Watch for signs of leaks, damage, and wear. Fixing small problems early can save you big money later.